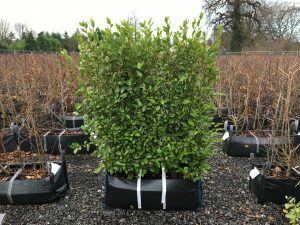 Using our 20 years of experience in developing, maintaining and planting instant hedging, we are now producing our own Practical Instant Hedge™ which is mature hedge grown in 1m troughs here at our nursery in Iver, Buckinghamshire. 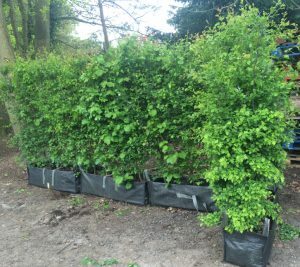 The production method ensures that this mature hedge is easy to handle with no transplant shock and that it can be planted all year round. 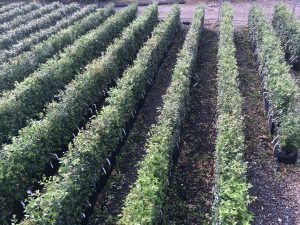 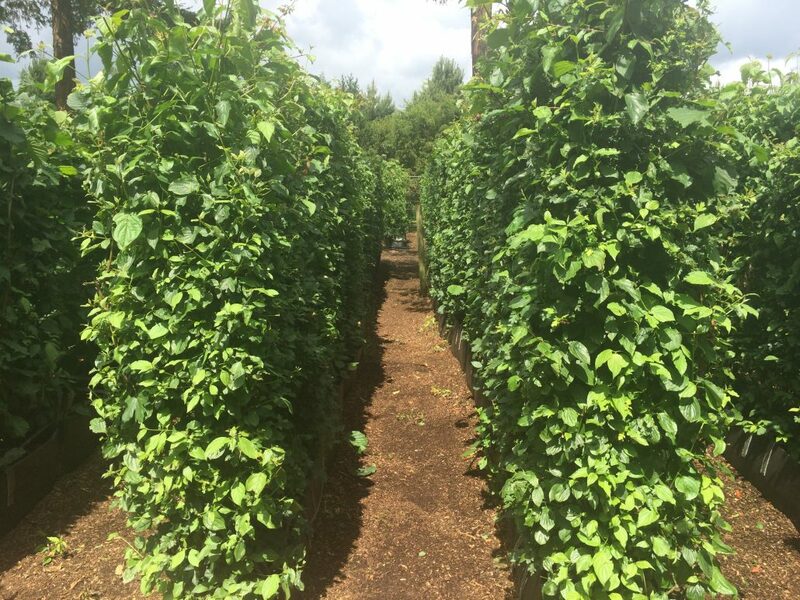 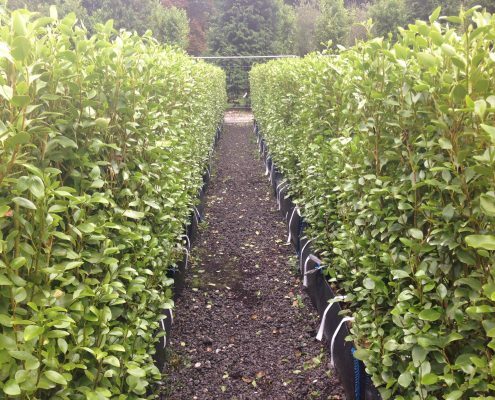 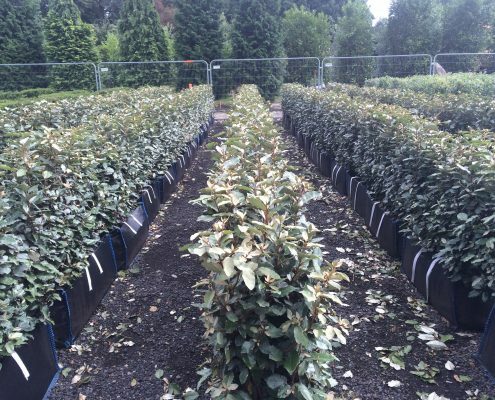 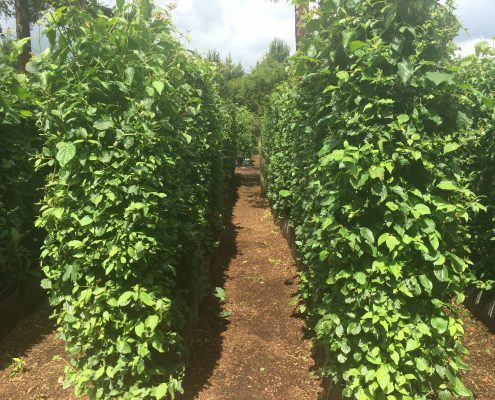 We have an expert grower overseeing production and are able to offer a premium mature hedging product, grown with top quality plants, suitable for both commercial and domestic situations. 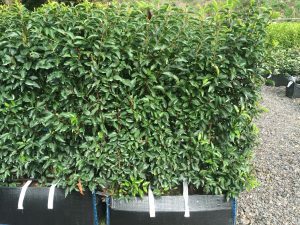 Our Practical Instant Hedging range currently consists of Native Mix, Griselinia, Yew, Elaeagnus and Portuguese Laurel, with more species to follow. 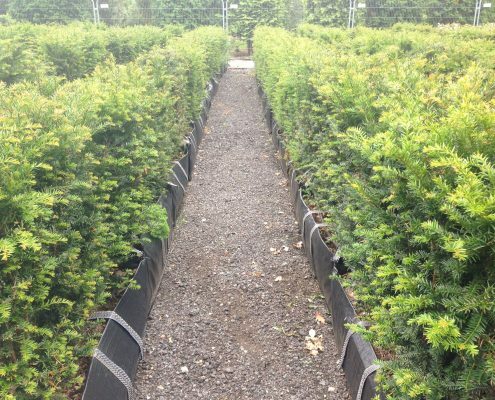 Our UK grown Instant Hedge has been recently used by Garden Designers at both the Chelsea and Hampton Court Flower Shows. 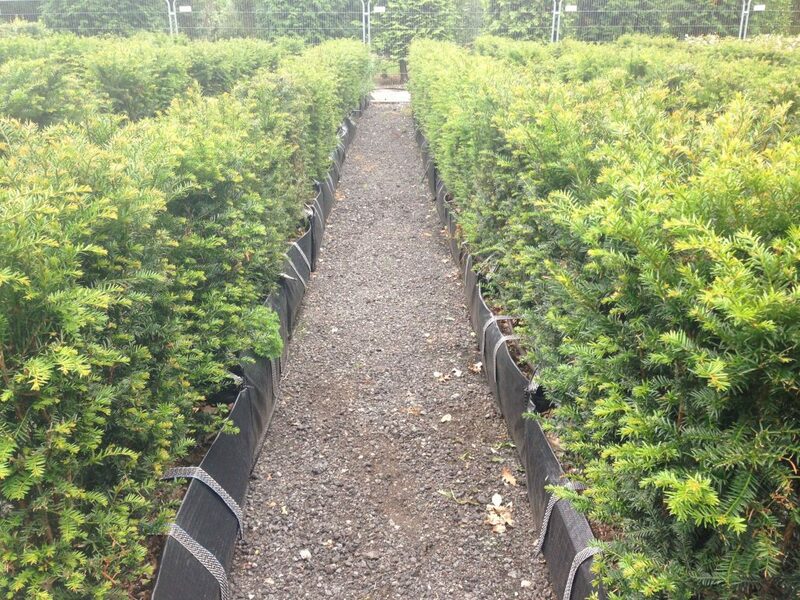 We supplied our Practical Instant Hedge for three Show Gardens at this years show. 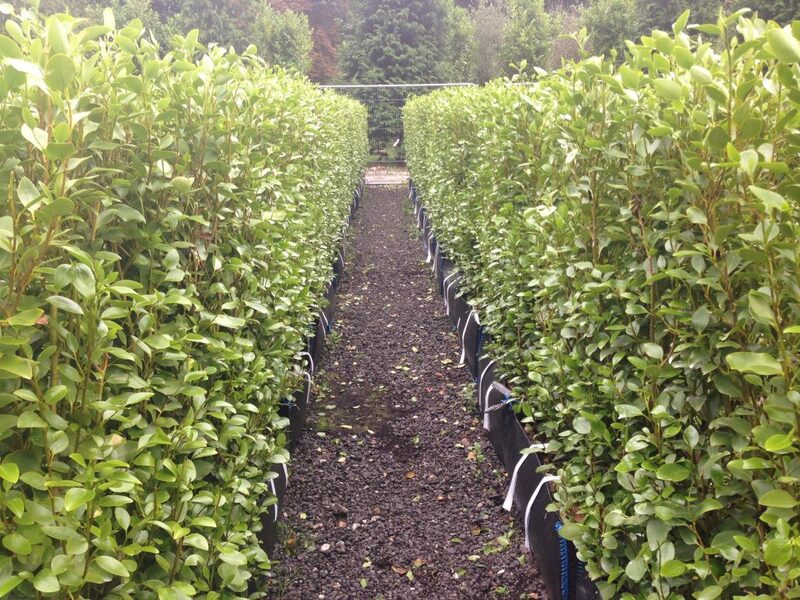 The hedges used were Native Mix and Griselinia. 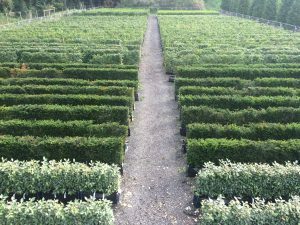 See our News Blog for more information on these gardens. 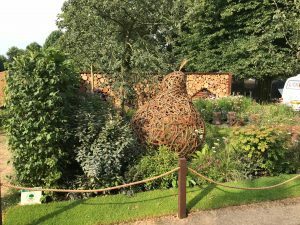 Woolcott & Smith’s World Horse Welfare Artisan Garden which was awarded a Gold Medal and The People’s Award for Best Artisan Garden at Chelsea. 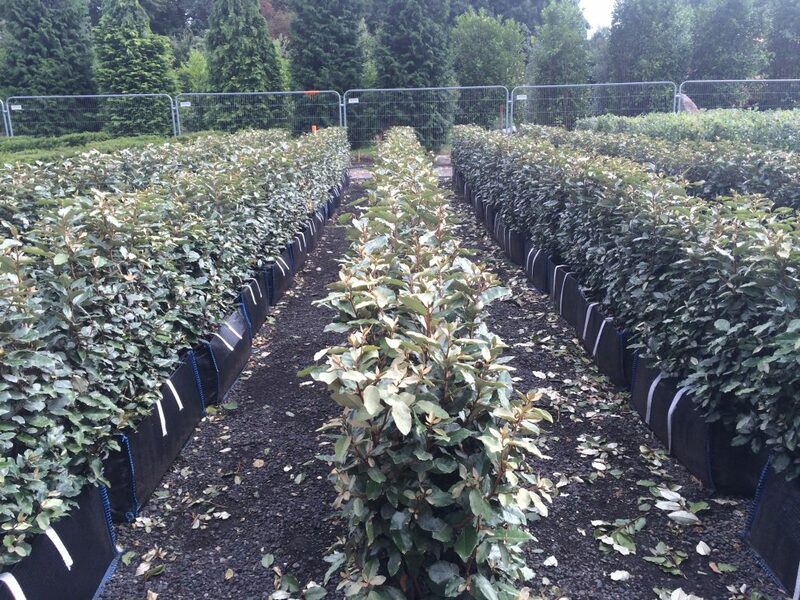 We have thousands of metres of hedge in production – the species and heights available are listed below. 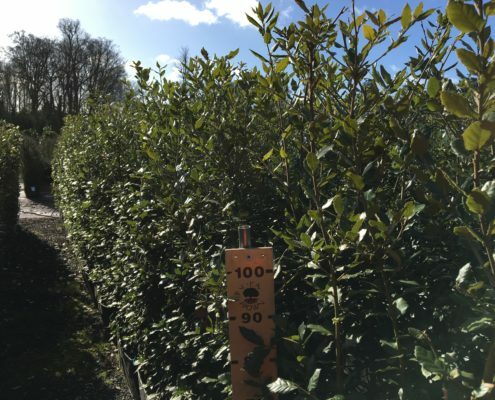 The availability can change on a weekly basis and therefore we welcome specific enquiries, based on the approximate linear metres required and the time of planting.